Central Heating and Air Conditioning has spent the better part of a century heating and cooling Atlanta, and we look forward to being your family’s trusted provider of air purification systems, air cleaning systems, duct cleaning, and duct analysis! We have “BPI Certified Building Analyst Professionals” on staff, who are trained to analyze the air quality conditions in your household environment. We are committed to providing our customers with leading edge technology home performance recommendations and solutions for a healthy home. Be sure the air your family breaths is safe! It might be the air in your home! Indoor air pollutants are all around us. They include pollen, molds, fungal spores, viruses, bacteria, smoke, gas combustion by-products, outgassing from carpets, furniture, plywood, and drywall, cleaning supplies and other personal care items, pet dander, dust mites and their feces and body fragments, cockroach body parts, and more. Disgusting! In the past 20 years, an emerging and expanding body of evidence has shown that indoor air quality has tremendous impact on human health. Americans-especially infants, the elderly, and persons with chronic diseases-typically spend 90% of their time indoors where they can be exposed to very high levels of air pollutants. Worse, it’s unhealthy. 50 million Americans suffer from allergies and 20 million have asthma. Tighter building envelopes in the quest for greater energy efficiency are making things worse. We spend most of our time indoors, surrounded by the indoor air pollutants. The larger pollutants (less than 10 microns; a human hair is 30 to 120 microns in diameter) are caught in our noses and throats. Smaller pollutants are inhaled into our lungs where they can remain trapped for years. 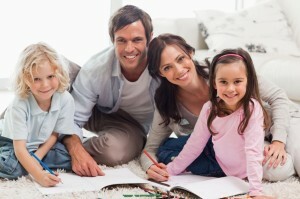 The starting point for a home indoor air quality strategy is source control. It makes sense. If you can control a pollutant before it becomes airborne, you’re ahead of the game. Source control strategies include the use of low emission paints, varnishes, and carpeting, no smoking, no pets, maintaining optimum humidity levels, regular cleaning, and regular servicing of combustion appliances, such as furnaces. Unfortunately, you cannot always control pollutant sources. Use your air conditioner to control humidity in the summer and a duct mounted humidifier in the winter. Get your furnace serviced every fall. The most economical approach to maintenance is a Central Heating and Air Conditioning service agreement. After source control, comes fresh air ventilation. According to the EPA, the air inside your home is far worse than outside air. Yet, when it’s really hot or really cold, who’s going to open the windows? It’s uncomfortable and unaffordable. There is a solution for some homes that improves fresh ventilation without the comfort or energy costs. It’s called an energy recovery ventilator. Not only can it improve air quality, it can actually reduce utilities in certain circumstances. Air cleaning is recognized as one of the three strategies to improve indoor air quality and has become increasingly popular as specific populations of individuals attempt to improve the air quality in their residences and immediate environs to relieve symptoms associated with various diseases such as asthma, rhinitis, sinusitis, and allergic respiratory disease.